I am not a vet. I am passionate about senior dogs and their care. The information I share is based on my own experiences caring for old dogs, the experiences of others I know, and research. I always encourage everyone to check with their vet before introducing new food, supplements or an exercise routine. In an effort to be completely transparent, I want to let you know that I have an affiliate relationship with some of the companies whose products I recommend, including Amazon. This means that at no additional cost to you, I will earn a commission if you decide to buy any of their products through the link. This is one of the ways I pay for maintaining this site. I urge you to not spend any money on any of these products or services unless you really need or can afford them. 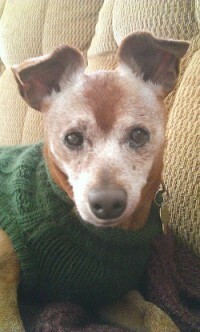 I am a senior dog lover, advocating for the care and rescue of old dogs. I do that through this website, my FB group Senior Dog Care Club and fostering and adopting old dogs. I am also a certified dog trainer and pet care consultant, specialising in working with rescue dogs and first time pet parents.